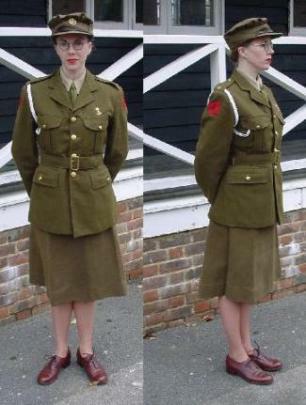 The ATS section, having more uniforms, have always prided themselves on the authenticity of their dress no matter which uniform they are wearing. The girls have set themselves high standards and work hard to keep them and try to help all new members obtain that same standard. We as a group do understand that buying uniforms and equipment can be expensive especially when first starting out. We would like to think that after a member's first full season they would have kitted themselves out in the basic uniform and equipment to enable them join in. 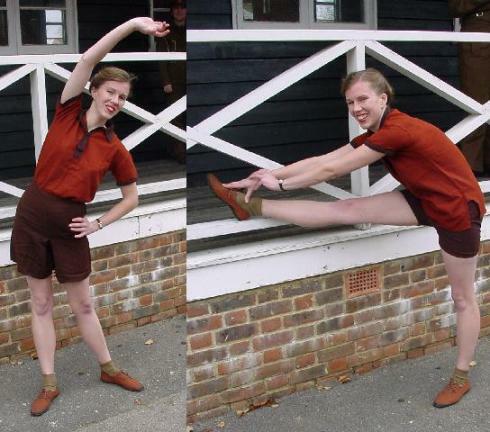 Boots Ankle (Brown), Gaiters Leather (Brown), Shirt Work, Tie, Cap ATS. Original	ATS boots are very difficult to find so ATS shoes can be worn instead or black Wellingtons. With the addition of an enamel mug, gas mask and helmet this makes up the basic uniform and equipment, and if you brought nothing else, this kit would get you through most artillery re-enactment weekends. Most of the unit, however, do tend to wear the ATS issued Battle Dress jacket and trousers more than the overalls (it's warmer), and either the early or the austerity pattern Battle Dress is acceptable. Shirt Sleeve Order can also be worn in hot weather by removing the BD Jacket and rolling up the sleeves of the work shirt. The Battle Dress is worn with no badges but with the RA lanyard is worn on the right shoulder. With the standard of reproduction uniforms getting better all the time we don’t have any problem with members buying them in fact it can be better for doing events in a repro as you then don’t have the worry of damaging them so much. Fighting Order for the ATS on a Gun or Searchlight sites is Battle Dress with Helmet, Leather Jerkin and Respirator (gas mask) in the ready position as seen above. In the winter and at night Wellington boots and a Greatcoat were worn, and in very cold weather the Teddy Bear Coat was also issued. 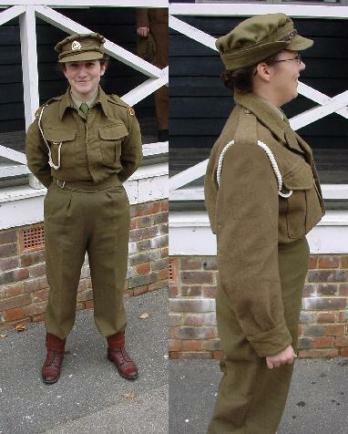 Cap ATS, Shirt Cotton, Collar, Tie, Service Dress Jacket, Service Dress Skirt, Belt Fabric, Khaki Stockings, Shoes (Brown), Lanyard RA (White). The basic ATS Gunner has two badges to be worn on each arm, the ATS Shoulder Title and the Ack Ack Command badges. Trained searchlight operators also got to wear the Searchlight Operators badge down on the left wrist. 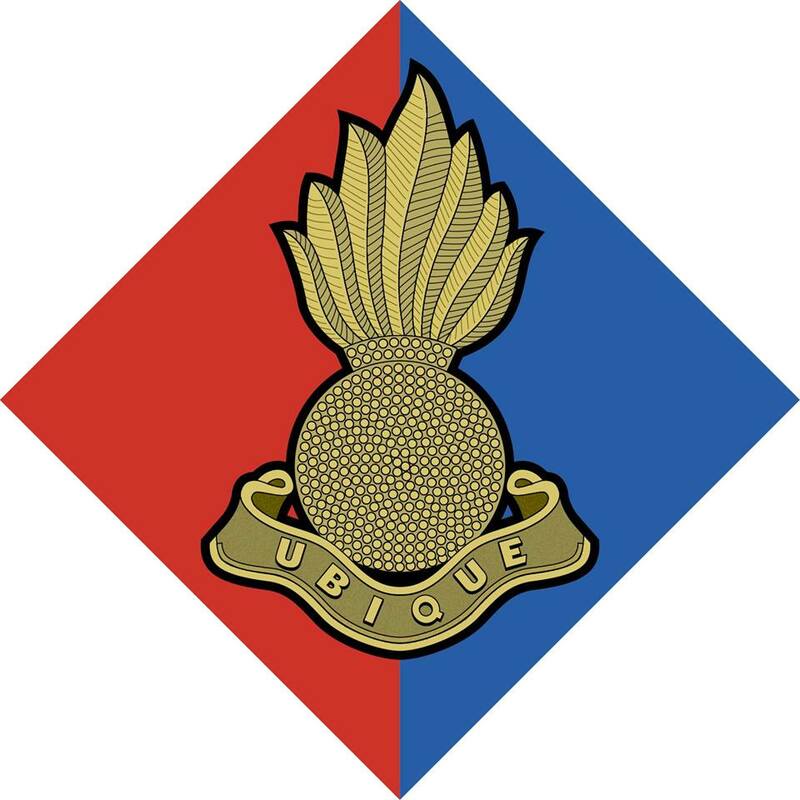 The brass RA grenade badge is also worn above the left breast pocket on the Service Dress. There are various other badge that can be worn, such as rank and trade badges, which you will get to know over the first year. Dog Tags, AB64 Solder's pay book, Greatcoat, Leather Jerkin, Rain Cap, Knife Fork and Spoon (KFS as the army called it), and not forgetting the PT Kit. As you spend more time in the hobby you will start to pick up the habit of collecting and there is still a lot of the 1157, this is the form that the ATS uniform issues where detailed on, that can be used to better you impression. A Holdall with your wartime washing kit, Sports Kit: plimsolls, shorts, knickers, aertex shirt and not forgetting the socks. The list is endless and as you do more events you will soon pick up the next thing on your shopping list. A full list of the uniform and equipment that was issued to the ATS can be found at the bottom of this page. There are a few extra things that are worth investing in to make for a more comfortable life when away. These are not necessarily military but are most useful. A wooden folding camp bed (although any camp bed will do), a wooden folding chair, some army grey or green blankets (4 is a good number as they can be used on displays), a sleeping bag, a personal first aid kit with any of your own medication and plenty of spare socks and underwear. Probably the best introduction to ATS uniforms is Martin Brayley and Richard Ingram's book, World War II British Women's Uniforms in Colour Photographs (Crowood Press, 2007) ISBN: 9781 86126 475 6. This section deals with the uniforms that were issued to the women of the ATS who served with the Royal Artillery. Ten coupons a year are issued to every member for the purchase of handkerchiefs and maintenance of dressing-gown and slippers.